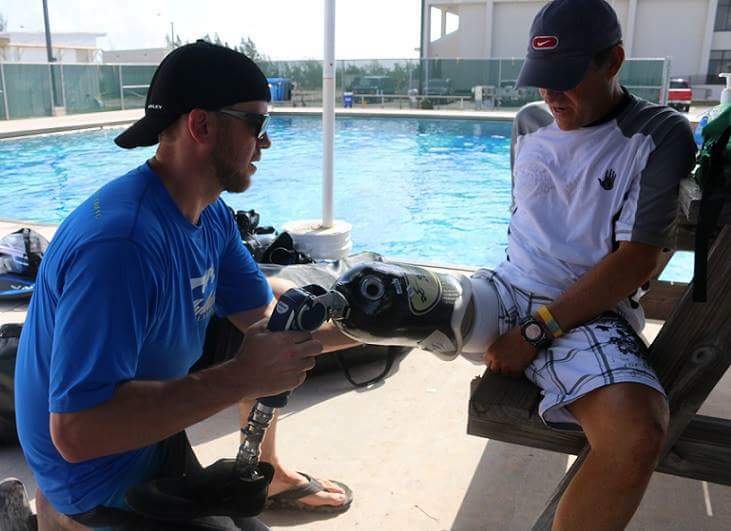 Swimming in a pool or in the ocean is a popular way for people to spend a summer day, a past time many of us take for granted, but not lower limb amputees who struggle to find prostheses that allow them to efficiently swim in the water. Prosthetists Arlene Gillis and Michael McCauley called on Interim Dean Ranu Jung and her team of researchers from the Adaptive Neural Systems Laboratory (ANS) to assist them in their collaboration with the Combat Wounded Veteran Foundation. Together they studied new prosthetic designs and their impact on the physiological function of the wounded veterans who participated in the study. Swimming not only serves as a recreational activity for amputees but it is also as an excellent low-impact exercise for rehabilitation. The current prosthetic devices are customized for the amputee to swim, but they are not efficient and require significantly more energy to swim shorter distances. 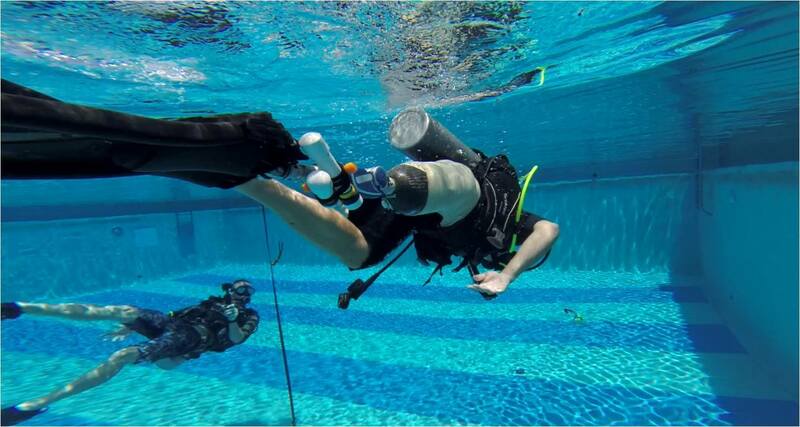 In this project, the team of researchers collected data on lower limb amputees while diving 5-10 ft. underwater with scuba gear in order to investigate the physiological and biomechanical responses to swimming underwater with a prosthesis. The overall mission of the Combat Wounded Veterans Foundation and the dive study is to promote evidence-based research and treatments through challenging expeditions that improve the quality of life for combat wounded and injured veterans. The hope is that it will empower and enable them to inspire other injured veterans to reclaim hope, health, and happiness. The results of the study will be used to design new energy efficient swim prostheses that can provide amputees therapeutic and recreational benefits similar to those available to non-amputees. For more information on the Combat Wounded Veterans Foundation, please visit combatwounded.org.